Sueno del Mar is the most luxurious vacation villa in all of the Riviera Maya. It is a Mexican Hacienda style with a touch of Italian design. The interior pampers you with plush bedrooms, impeccable baths, and a host of indulgent touches. This world class villa is superbly appointed with perfect white sandy beach, overall quality, and privacy. Entertaining is a delight with expansive chic areas throughout the home, satellite television service, air conditioning and long 360 degree views of the Riviera Maya -Soliman bay coastline. Enjoy the tranquility and most relaxing vacation in our villa whether it is between friends or family. With high ceilings, spacious rooms, private pool, and a rooftop Sueno del Mar is the perfect choice for your dream vacation. Casa Sueno del Mar has 5 to 6 bedrooms with 6.5 deluxe baths and can accommodate up to 12 guests. In the main house, there are five luxury bedrooms. Each bedroom has its own en suite bathroom, television and security safe. Our staff works from Monday to Saturday. They are here to pamper you and will make sure your have everything you need in order to make your stay a memorable vacation. Let our staff know if you want them to book for you additional service such as massages, yoga, etc.. Let them know if you want to do Kayaking or Snorkeling on your own beach. Whether you are planning a dream wedding, work retreat or looking forward to a dream vacation with your friends and family – Sueno del Mar is the perfect place to make your dreams come true. 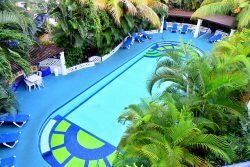 Soliman Bay is located right in the heart of the Riviera Maya. It's the second largest reef in the world, water is calm and shalow perfect for snorkeling, kayaking, beach combing, swimming and jogging. 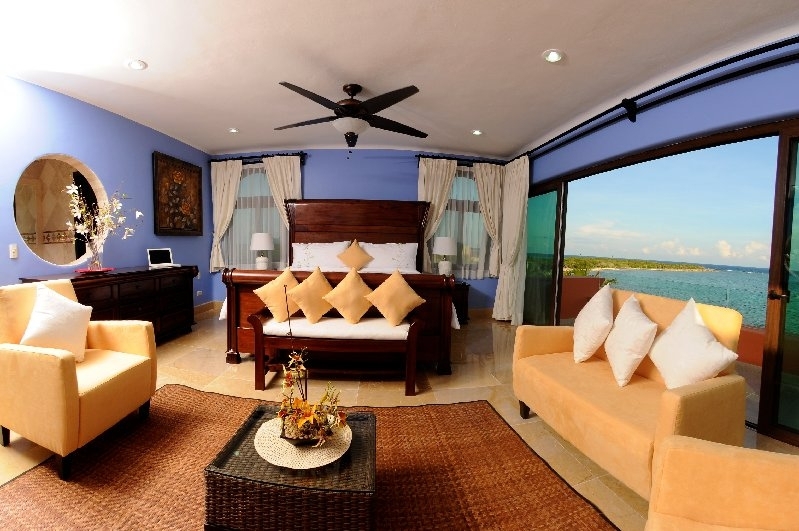 Sueno del Mar offers its guests 5-star amenities, elegant atmosphere relaxation and great location. Akumal is 20 minutes drive north and vibrant Playa del Carmen with its famous 5th Avenue is merely a half an hour drive from Sueno del Mar. The city of Tulum with its beaches, world-famous cenotes and Pueblo for shopping is a 15-minute drive away. One Manager; Meets guest, leads the staff to make sure each guest is satisfied. Can provide additional services. One night security guard; Onsite at night to secure premises and guest. One maid: In charge of housekeeping. One Gardener: Works discreetly in maintaining the landscape and pool. Please note: No smoking inside the villa.